The Zuca Flyer Travel is the perfect bag for business trips or vacations. 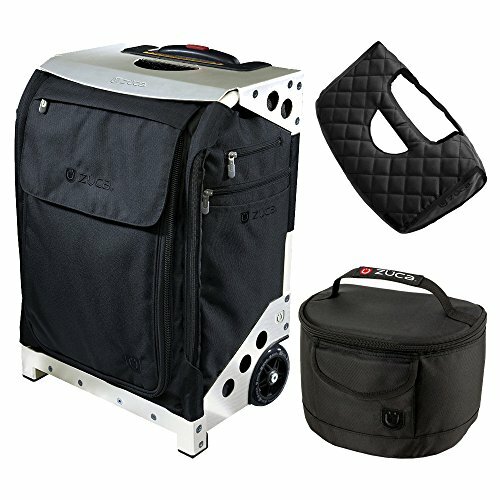 The Flyer Travel has you covered with a large insert bag and frame specifically designed for travel. Together they are FAA approved as carry-on luggage and include 5 color-coded packing pouches with a clear TSA-compliant toiletry bag. So whether you're taking product samples or bathing suits with you, everything stays organized and easy to access. Like every Zuca bag, the Flyer Travel exudes quality and craftsmanship, with ballistic nylon material and aerospace-inspired aluminum alloy construction. No matter where you go, Zuca is there to protect and transport your belongings in style.